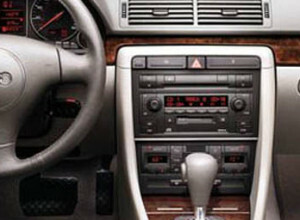 Here is the stereo radio wiring information for your 2004 Audi B6 A4 with the standard, symphony, or Bose systems. It will be useful when installing an aftermarket radio, sound stereo system, or other automotive accessories. Make sure to grab the appropriate tools to test all the wires in your A4. Please check it over and use it as a GUIDE to help you locate the appropriate wires. This schematic is provided free of charge and may not be 100% accurate. Failure to properly test all the wires may lead to vehicle or bodily damage. All information is provided as-is and accuracy is not guaranteed. If you find any conflicting info please leave a comment with what you found in your Audi B6 A4. If you don’t see the wiring diagram you need comment and we will try to add it ASAP. Thanks for looking!